Patricio Colmegna received the engineering degree from the University of Quilmes (UNQ), in 2010, and the doctoral degree in engineering from the Buenos Aires Institute of Technology (ITBA), in 2014. He focused his doctoral research on applying optimal, robust and switched control algorithms to an artificial pancreas (AP) that aimed to not only mitigate glucose excursions, but also patient burden. 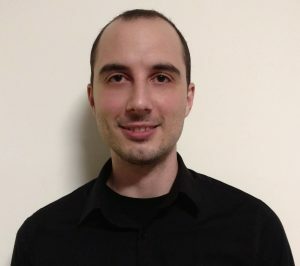 In 2017, he was named as a research assistant at the National Scientific and Technical Research Council (CONICET), and was part of the team that performed the first clinical AP trial in Latin America, where the control strategy he participated in developing and implementing was successfully validated. Dr. Colmegna joined the CDT in early 2018, and is currently working on the development of a next generation simulation facility for diabetes. This effort involves the design of new and more computationally efficient platforms for multi-model, multi-disease modeling and simulation.